I’m not fanatical about companion planting as outlined in books like “Carrots Love Tomatoes” or “Roses Love Garlic” but that won’t stop me from adding my own spin to the subject and proclaiming that “Blueberries Love Wintergreen!” While I do believe plants can form beneficial relationships with each other and that they can also grow better when paired in certain groupings; I don’t think it should be the primary concern. 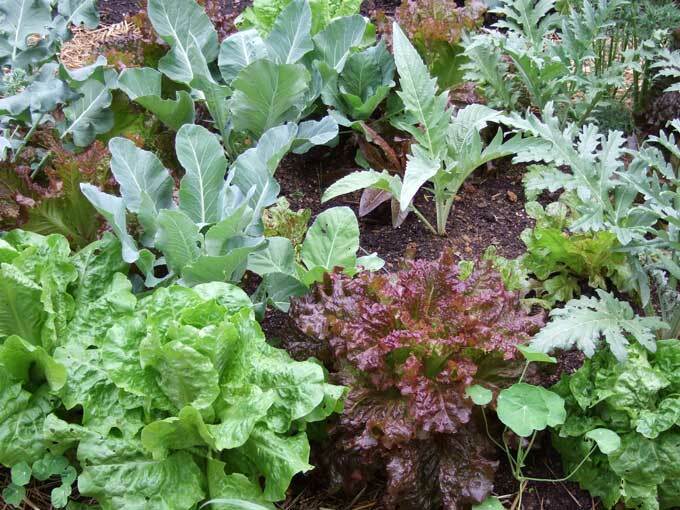 You can utilize the basic aspects of companion planting without focusing solely on it, and without following any rigid guidelines related to plant placements or specific plant combinations. In my case it helps that I don’t plant crops in mass where there is nothing but corn, or beans, or whatever growing exclusively in one large area. 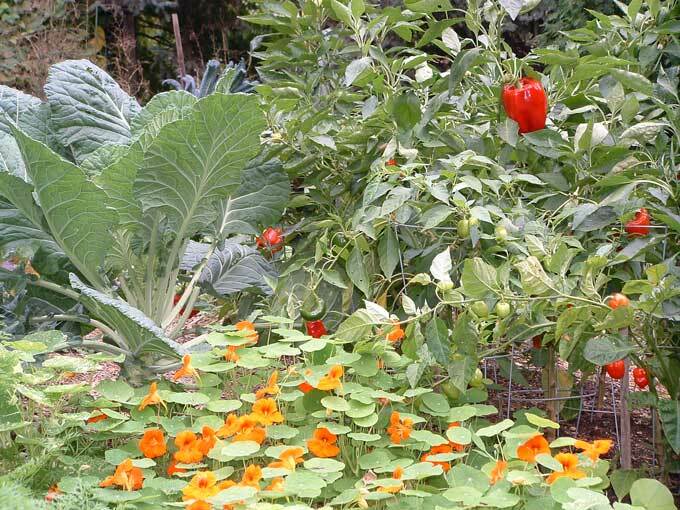 Visit my garden and you’ll find smaller blocks of peppers, or eggplants, or other crops, and all around them a diverse mix of various veggies, herbs, and flowers. A few edible weeds and wild plants are even allowed to grow (but not go to seed) in order to add further to the garden’s diversity. 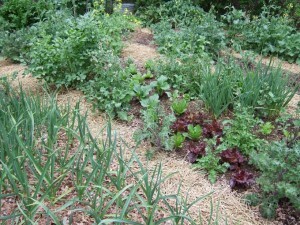 Basically, my growing beds contain one assortment after another of companion plantings. There are bound to be some “bad” combinations in the mix if you go by the plant companion book, but the overall diversity of the garden will more than offset a bad companion plant combination located here or there. So, while I know the rule about not planting beans next to onions, or squash near potatoes, I don’t stress over it if they do happen to rub elbows in the garden. There are some plants like Melissa and Stinging Nettles that are considered in companion planting circles to be all around great companions for virtually every plant in the garden, and are thought to offer benefits related to everything from increased plant growth and fruit production, to longer storage life and higher essential oil content in aromatic leaves. I like to have Melissa growing near the garden even though she can get out of hand, and the same goes for stinging nettles even though it can be a pain, but I will put some distance between these two and the main garden, or plant them where they are less likely to become a nuisance. If the essence of Melissa or Nettles is desired to be in direct contact with plants located within the garden I will simply make a fermented tea out of their leaves and spray it onto the other plants. Comfrey is another plant that makes a great compost-like tea and serves as a good companion plant around the garden. This one deserves an entire article to itself, but for now I’ll just recommend it as a great border plant around the garden that will help prevent weeds from infiltrating the boundaries of your beds. It is also a great host for beneficial insects from bumblebees to spiders. Some plants just make sense to group together because they have similar growth habits and your gardening life is made easier by having them grow next to each other. In some cases factors such as a plant’s maximum height or its width at maturity mean that a good neighbor is a plant that is the same size and won’t crowd or shade the plant next door to it later on in the season. Another factor to consider when deciding on plant companions is the days to maturity. I like to group crops together that will mature in roughly the same amount of time. 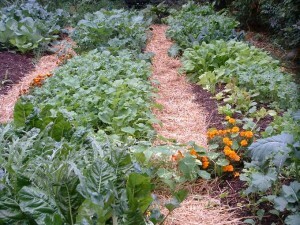 That way when harvest time arrives an entire block of gardening real estate is freed up to be replanted with a successive crop. 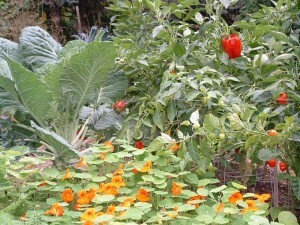 A lot more goes into companion planting than just the species of plant that is growing next to another. But sometimes you can’t help but notice that there are certain plants that make a perfect pairing. 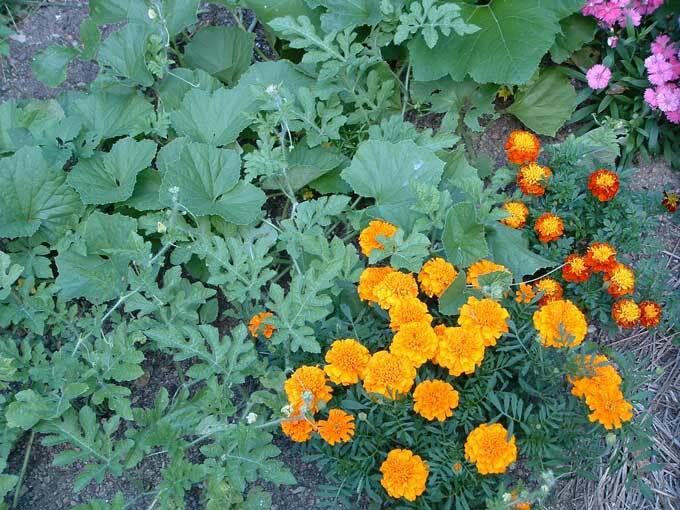 Many gardeners are familiar with the traditional Native American strategy of using the Three Sisters System of growing corn, beans, and squash together. This combination forms a perfect companionship with each having something to offer that is of benefit to the other when they are all raised together! 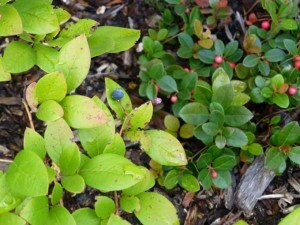 A new plant combination that I experimented with in my backyard garden was the pairing of Blueberries and Wintergreen (Teaberry), both of which are native plants that grow wild in Pennsylvania and other parts of the Northeast. I thought I had come up with something innovative when I looked at my blueberry bed and thought to myself that wintergreen would grow well underneath those bushes. I was familiar with Wintergreen from camping trips into the Pine Barrens of New Jersey where it was a common sight. I reasoned that if it tolerated the shade and acidic soil there that it would make a great companion plant for the blueberry beds where I regularly amend the soil regularly to keep things on the acidic side. That is great for the blueberries but not so hospitable for most other garden fruits and veggies. Sure enough, aside from that little incident involving the PA Dept. 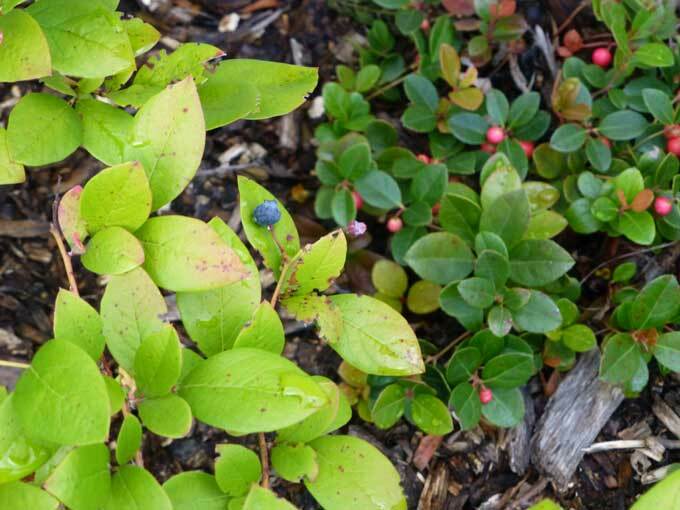 of Agriculture, that combination of wintergreen planted underneath blueberry bushes has proven to be a great example of successful companion planting in my garden. But a later conversation with friends at a sustainable gardening conference revealed that there is nothing new about this combination and that others had also noticed the beneficial relationship between the same plants in the wild. That brings us to other aspects of companion planting; under-story plantings of low growing crops that will control weed growth and support populations of soil micro-organisms when the primary crops are young or have already been harvested. 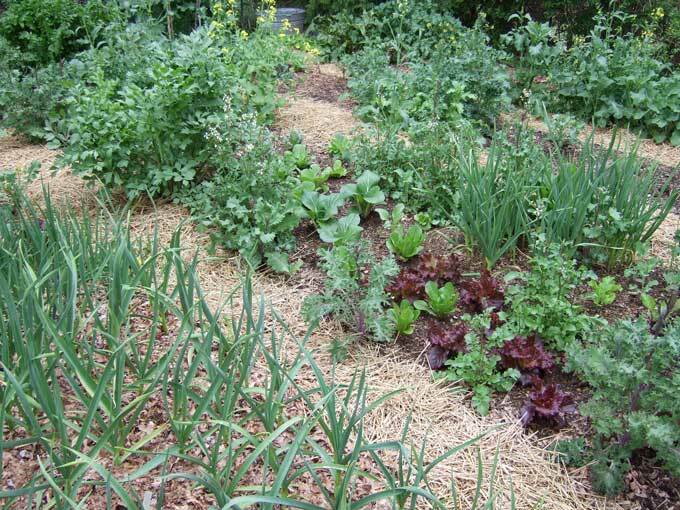 Don’t overlook the use of companions such as alfalfa and legumes to fix nitrogen in the soil, or even growing clovers that can be used as a cover and compost crop. Then there are the plants like fennel or dill when blooming, which make great companions because of the hordes of beneficial insects that they attract to the garden. 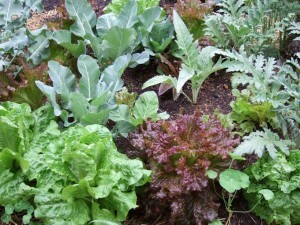 So, when it comes to companion planting you are really just getting started down that path when you decide on the type of plants that will grow next to each other in the backyard garden.